Snatam’s concert tours bring her joyous, uplifting music to audiences everywhere as she performs compositions from her new album Beloved and much-beloved songs from her rich catalog of classic world devotional CDs. Timeless Snatam Kaur recordings such asPrem, Grace, Anand, Liberation’s Door and Light of the Naam, have brought inspiration and a deep sense of peace to listeners worldwide with their captivating blend of traditional sacred mantras and expansive musical settings blending Eastern and Western influences. But the best way to experience the music, warmth, and wisdom of Snatam Kaur is live in concert. 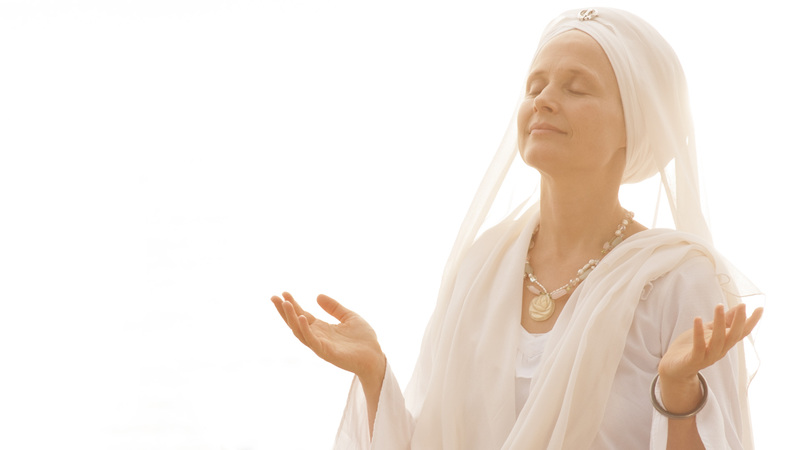 Snatam Kaur is an American singer, peace activist and author raised in the Sikh and Kundalini Yoga tradition. She has an amazing ability to transform traditional Sikh chants of India into a contemporary sound that appeals to the modern ear and awakens an ancient yearning in the soul. For over twenty years, she studied with and grew up in the presence of her spiritual teacher, Yogi Bhajan, while he was in his physical form, learning the essence of Naad Yoga, a form of yoga focusing on sacred sound. At the core of this practice is an essential experience of peace and healing which has helped her music to be accessible to people of all walks of life. She has taught and shared Naad Yoga and Kundalini Yoga and meditation through her recorded CDs, concerts, and workshops for the past sixteen years as a part of her commitment to give people tools for a daily experience of inner peace. Her latest CD, Beloved is a sound medicine tool kit, each track has a specific healing effect. Snatam’s book Original Light; the Morning Practice of Kundalini Yoga is a compassionate and supportive guide to creating a personal daily spiritual practice. To find out more about her concerts, music, workshops, and book, visit snatamkaur.com.